With all the eagerness to be part of the BigLaw leagues, it is very easy to be blinded by the glamour and overlook many of the disadvantages of BigLaw. Sure, people like to be associated with the big names on BigLaw firms, but most will stay just that: an associate. When bad times hit, BigLaw firms look to outsource -- starting with you. If you're part of a small firm, you can take steps to weather the economic storm and also take the driver's seat. Instead of firing your people, work with them so that they can telecommute. And of course, outsource the work that doesn't require your immediate attention or skill -- hopefully without much tears. Telecommuting is related to outsourcing in that someone is not presently in your office at the moment, but is working on crucial client needs at that moment. Instead of finding someone on the referrals, you let your paralegal work from home via computer because you know the quality of her work and you've already built up a personal relationship with her. This is the best compromise for today's worker demands because it means you haven't ended a relationship completely. Building up a working relationship is a difficult thing. No two paralegals (or attorneys) are entirely interchangeable. Thus, instead of firing someone because of life changes, you can rearrange her relationship to your company. If she's really good, pay her by task instead of by the hour. In that way, she will have even more flexibility and can work at her own pace. Jim Calloway wrote for the ABA and opines that a lawyer shouldn't be too quick to let a working relationship go. If you're not lucky enough to have a really dependable paralegal and need professional work done quickly and well, you're saved. Enter the virtual assistant. For a number of years lawyers have trimmed down by contracting with others to complete tasks that didn't need their skill. But there are now a number of choices for the modern attorney when it comes to this division of labor. "Virtual assistant" is the umbrella term used to refer to legal assistants, paralegals, and clerks all rolled into one, and no-where to be seen. 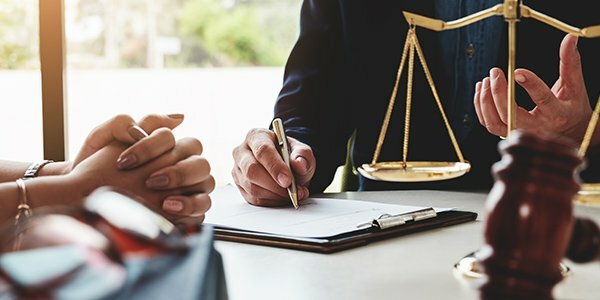 Like the paralegal above, the main difference with the VA is that you probably have no prior relationship with her yet she becomes familiar with the firm's practice and gets the work done. Payment of fees can be hourly or by task.